Can anybody help solve a photographic mystery? 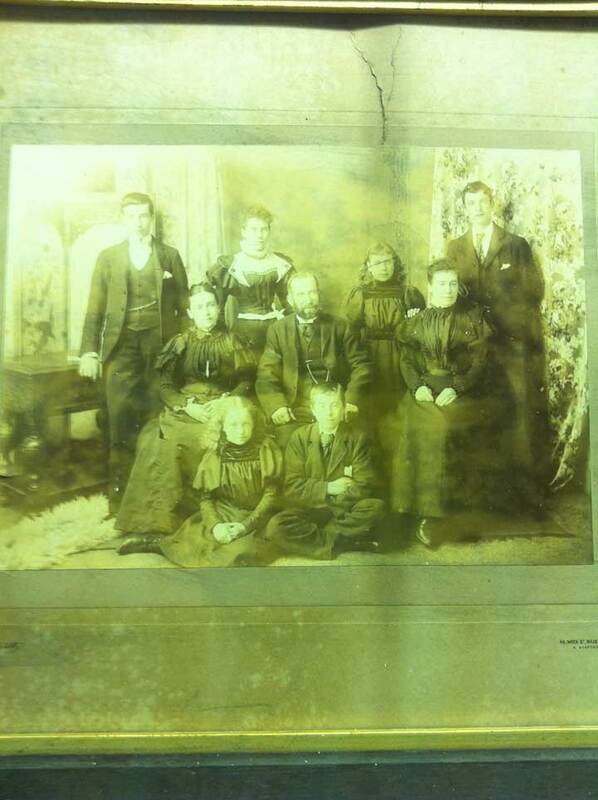 This photograph was found when the current occupants (The Reef Spa) of 22 Gabriels Hill, Maidstone, Kent were sorting out a room. A larger image can be seen here. Sadly, there are no clues to the identity of any of those shown in the photograph, but the photographer does appear to have been A H De’Ath who had his studio at 46 Week Street, Maidstone. Part of that address is visible in the bottom right hand corner of the photograph. I would welcome any information on the possible identity of those shown in the photograph so that I can pass this on to the Managing Director of the Reef Spa. This entry was posted in Photograph and tagged England, Kent, Maidstone, Mystery, Reef Spa. Bookmark the permalink. I know a member of the De’Ath family from Medway. I have forwarded this photo and information along to see if they know anything. Please send me an email and I will let you know what they say. Thank you, Lori. I have emailed you direct. Ten years earlier in 1891 a different family were living there. Still an ironmonger. Plus 2 female domestic servants in their early 20s. The ELLIS family were living there in 1881 and Henry is described as an ironmonger employing 11 men and boys. In 1871 the property had a mixture of occupants. Head of household was a 54 year old unmarried woman, whose occupation was housekeeper. Then her assistant – a 30 year old male ironmonger, then a similar 23 year old ironmonger, then an apprentice and finally a female domestic servant. No really obvious links unfortunately. I double checked 1911 and the premises are described as a shop and no one is living there that night. The woman in 1871 at 22 Gabriels Hill was a Mary HALSE (?) unmarried age 54 born Hinkley, Leics and the 30 year old ironmonger assistant was a Henry HAYES, unmarried born Long Parish, Hants. Sarah – Thank you, again, for providing such detailed information on the occupants of 22 – 28 Gabriels Hill. I am going to draw your posts to the current occupants of the premises as I am sure they will be interested in what you have found. As you say, no obvious links here to the photograph, which, I feel, was taken prior to the 1890s. But, you never know.